Firmoo Glasses… always in fashion! New week and a new sponsored post about Firmoo’s glasses! Vision – An ideal pair of prescription glasses as a half medical tool to correct vision should be made up of a quality frame and lenses with accurate prescription. We promise all our eyeglasses frames are of high quality. Besides, all eyewear provided by us goes through strict inspection by our experienced opticians before shipping to ensure the accuracy of lens prescription. That’s why we keep the lowest return and exchange rate among all online optical stores worldwide. Fashion – We offer classic and fashion glasses frames for you to choose from. All of these frames which are quite popular in the world are elaborately picked by our staff from thousands of frames in the market. Frugal way – Our prescription eyeglasses are inexpensive even though with high quality, therefore, everyone can afford it. 1. You’ll see all wearing effects by switching to the virtual try-on mode on the product list page. 2. 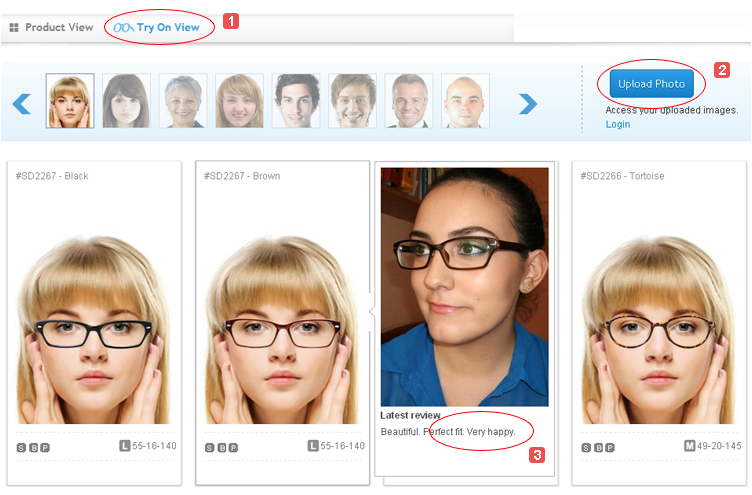 Upload your own pictures to see how you’ll look with the chosen glasses on. 3. When you move the mouse over your favorite glasses, you’ll find some users wearing the pair on the right side of the page. Which will be a great reference. Click here to view more related videos on youtube.